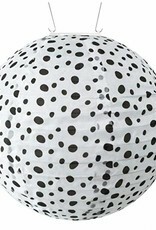 Brighten your surroundings with a polka dotted solar powered lantern. 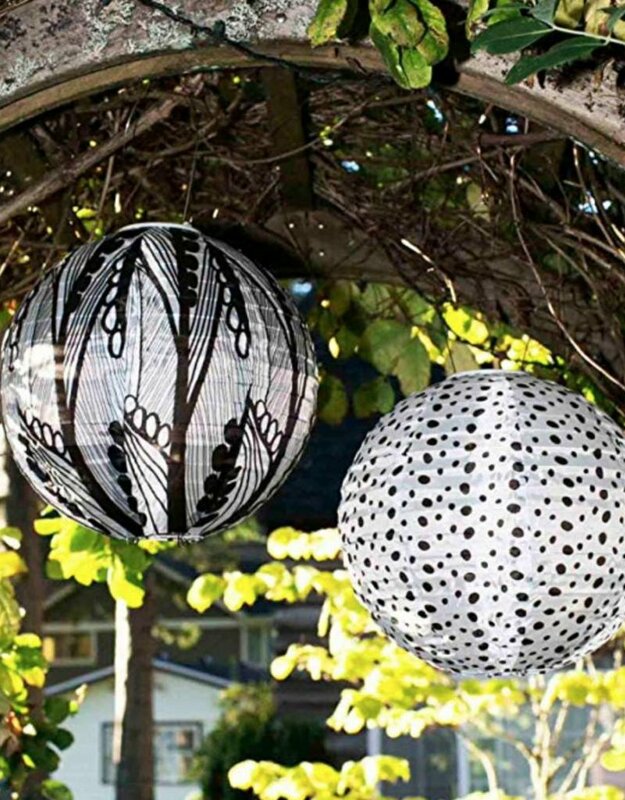 Hang your lantern to create instant ambiance from a tree, your deck, arbor, archway, umbrella, tree, wreath, fence line or anywhere for that matter. Enjoy the glow night after night, year around. 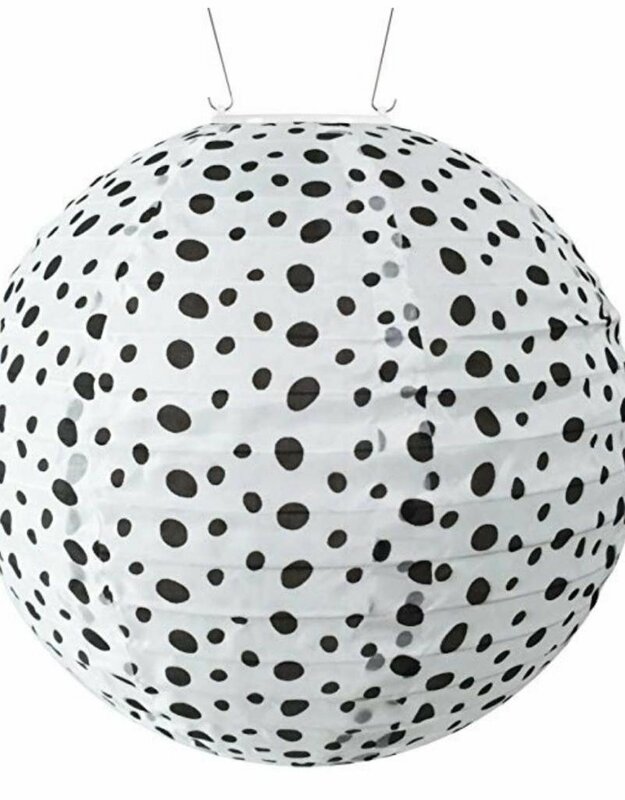 Each lantern measures 10" by 10" & includes a stainless steel hanging handle, a built-in light Sensor, solar panel, one AAA rechargeable battery & a dual white LED light. 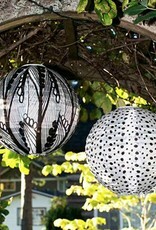 Alsop prints were designed to make a statement individually or mixed with other lanterns. This lantern has an on-off switch & is designed to be left on. Batteries are replaceable.